Since 1877, Berry Street has chosen to work with children, young people and families, with the most challenging and complex needs, including those for whom we are often the last resort. They believe all children should have good childhood, growing up feeling safe, nurtured and with hope for the future. At Berry Street (Melbourne, Australia) many of the children have a very special story to tell about a very special dog - Koda, the border collie. Berry Street's Gippsland Wilderness Program challenges young people to discover an inner strength and belief they never thought possible. It takes 10 young people away on a trek through some of the toughest bush and coastal terrain there is. No phones, no technology and no turning back. Each of these kids has been through things like abuse, neglect, addiction, or even trouble with the justice system. During the trek they face adversity, see their challenges through and develop the self-belief to make good choices in life. The kids have a very special companion on this journey: Koda the border collie. Koda is a certified and qualified therapy dog, and she is fast becoming the most important and popular member of the team. Feeling the love and devotion of a best friend... priceless. Koda is so much more than an outdoor adventure dog. 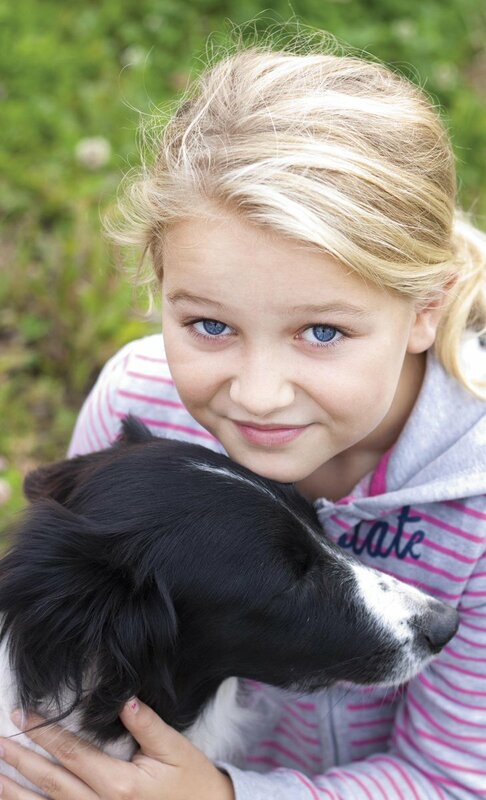 Eight year old Emily has blossomed because of her friend Koda. Emily suffered severe physical and psychological trauma before coming to Berry Street. It was so bad that she just couldn’t speak about it. When Koda came to Emily’s counselling sessions, her comforting presence helped Emily feel brave enough to open up about her trauma for the first time.